Change is an occurring thing, as endless as it is brief. Just as there are more phases to the moon than meets the eye. 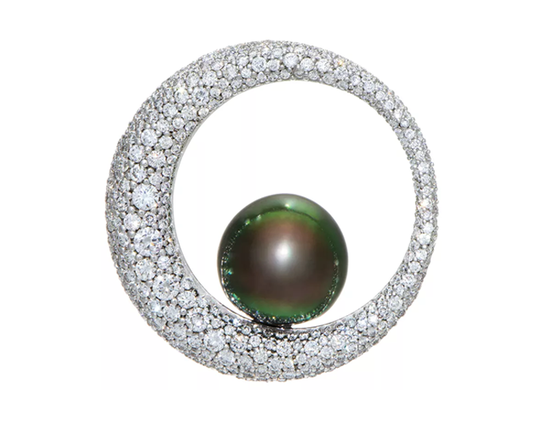 18k white gold, 12 mm Tahitian pearl and 1.68 carats t.w. diamonds. JCK's Jewelers' Choice Awards 2016 First Place Winner of the $2,501 - $10,000 Pendant category.